Fantastic new book on Fr. Nicholas Sheehy just published. “The Case of Fr. 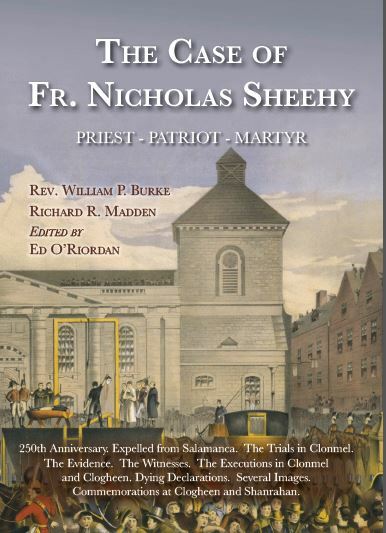 Nicholas Sheehy: Priest -Patriot – Martyr” Fr. Sheehy was a parish priest of Shanrahan, Ballysheehan, Templetenny. (Clogheen- Burncourt – Ballyporeen). He was executed in 1766. Limited hardcover edition now available. Edited by Ed O’ Riordan. This entry was posted on Friday, October 17, 2014 at 4:37 pm	and is filed under Community News.